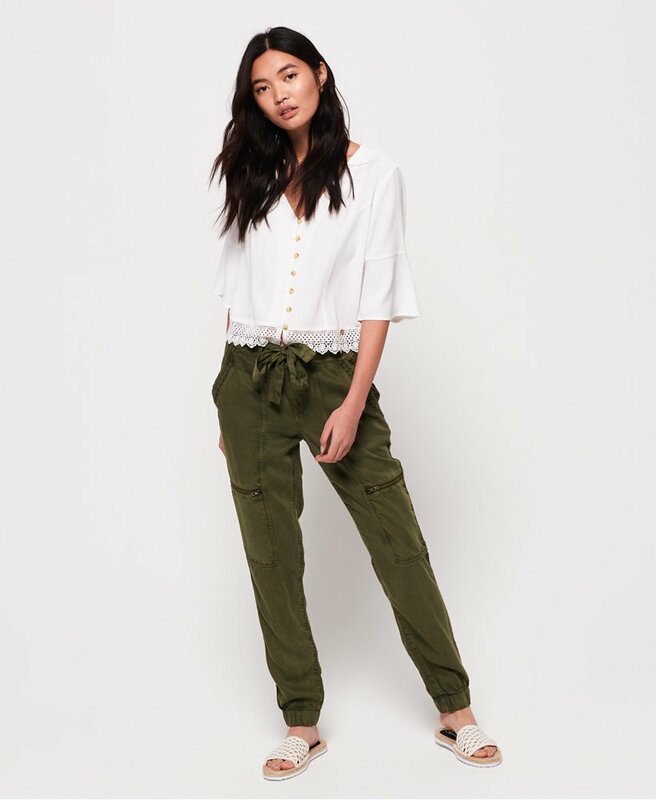 Superdry women's Lace Rookie pants. These rookie pants feature a main button and zip fly fastening with a tie belt, four front pockets, two back pockets and elasticated cuffs. Finished with lace floral detailing on two of the front pockets and one Superdry logo badge on the front and one on the back.